FinArc Investments is proud of its team of highly qualified and experienced financial architects each of whom is committed to truly listening to each client and developing a custom blueprint that will help ensure a strong financial future. Matthew C. Slaney joined FinArc in 1999 and became president in 2013. Matt oversees the firm’s strategic direction, investment decisions, operations and compliance, business development efforts, and client relationships. With more than a quarter century of experience as an investment professional, Matt understands the important role a trusted financial advisor plays and he deeply values each client relationship. In addition to overseeing the firm and chairing the FinArc advisory board, Matt offers personalized advice on investments, estate planning, college planning and more while managing client investment portfolios to help them achieve their financial goals. Matt is an advocate for independent, objective financial advice. He has a deep appreciation for the complexities of managing finances in the 21st century and has shaped FinArc’s services and solutions to help clients excel in this environment. The foundation of this model is a client relationship built on strong communication. Matt is adept at working with clients to better understand their individual financial vision, and he is skilled at bringing that picture into focus. He specializes in helping clients achieve a target retirement lifestyle, fund a child’s education, find a strategic approach to philanthropy, select and manage employer-sponsored retirement plans for business owners, and plan the sale of a business. Prior to joining FinArc, Matt was a municipal bond research associate for Colonial Management Associates. Matt earned a Bachelor of Science in business administration from Northeastern University’s honors program and a Master of Business Administration from the Carroll School of Management at Boston College. He earned the Chartered Financial Analyst designation and passed the Series 65 exam administered by the Financial Industry Regulatory Authority (FINRA). He is a member of CFA Institute, CFA Society Boston, and Boston College Club. Matt is on the board of Exit Planning Exchange New England and chairs the organization’s membership committee. Matt is actively involved in community and charitable efforts and dedicates his time and resources to causes that promote youth development. In particular, he supports organizations that nurture impoverished children and are active in early childhood education. Matt resides in Mansfield, Mass. with his wife and two daughters. Matt can be reached by email or connect on LinkedIn. John Choe joined FinArc Investments in 2014 and is responsible for analyzing individual stocks and contributing to portfolio investment strategy. He is also a member of the firm’s advisory board. In keeping with the firm’s value-investment philosophy, John seeks out stocks that appear to be undervalued based on attractive forward price-to-earnings ratios and other metrics. While John’s research experience spans many areas, he has deep expertise in the following verticals: hardware and software, telecommunications, basic materials, and consumer goods and services. Previously, John held research analyst positions at Liberty Mutual Group Asset Management, Inc. and State Street Global Advisors. John earned a Bachelor of Science in materials science and engineering from the Massachusetts Institute of Technology (MIT) and a Master of Business Administration from the Tuck School of Business at Dartmouth. John passed the Series 65 exam administered by the Financial Industry Regulatory Authority (FINRA). John is active in his community and has a wide range of interests. He is passionate about STEM education and has taught numerous technology and computer literacy courses to adults and children. He has a strong interest in sports analytics and has coached many youth sports teams. John was formerly a professional sushi chef, and once played in a professional baseball game with the Normal CornBelters of the Frontier League, as part of a fundraising effort to benefit the Humane Society of Central Illinois. John resides in Jamaica Plain, Mass., with his wife and three children. John can be reached by email or connect on LinkedIn. Paul O’Keeffe joined FinArc in 2007, bringing extensive financial experience, including senior positions at Wells Fargo, Deutsche Financial Services, and AT&T Capital Corporation. As a Client Service Liaison, Paul supports clients by providing account information, facilitating required minimum distributions (RMDs) and Qualified Charitable Distributions (QCDs) from IRAs, preparing client documents and fulfilling many other client needs. He is responsible for many of FinArc’s business operations. Paul earned a Bachelor of Arts in economics from the University of Massachusetts Amherst and a Master of Business Administration from the Tuck School of Business at Dartmouth. Paul volunteers at the Needham Public Library and gives an annual lecture at the Economics Department of UMass Amherst. He enjoys doting on his grandchildren, especially while summering at Cape Cod. Paul resides in Needham, Mass., with his wife. They have three adult children and four grandchildren. Paul can be reached by email. Patricia Weller joined FinArc in 2011 and has a diverse investment industry background, including experience as the director of investor relations and fund manager of Polaroid Corporation’s pension and profit-sharing plan. Previously, Patricia was a CPA and senior auditor with Arthur Young & Co.
As a Client Service Liaison, Patricia supports clients by providing account information, facilitating money transfers and preparing client documents and fulfilling many other client needs. She is also instrumental in preparing FinArc Financial Goal Plans, analyzing mutual funds and conducting FinArc Mini Update Calls. Patricia earned a Bachelor of Science in accounting from Bentley University and was a certified public accountant. She has been an active member of Woodland Theatre Company and enjoys playing golf on Cape Cod. She resides in Natick, Mass., with her husband, with whom she has two adult daughters. Patricia can be reached by email. Liv Nash has held a variety of client service and client-facing positions in the financial services industry, as well as roles in the hospitality industry earlier in her career. Liv served as FinArc’s Client Service Liaison from 2000 to 2006. Following a period dedicated to family and volunteer activities, Liv served as client service manager for nearly four years at Baystate Financial, until rejoining FinArc in 2015. Earlier in her career, Liv worked for Baring Asset Management and Goldman Sachs in a variety of client-facing roles. Liv conducts FinArc Mini Update Calls and contributes to FinArc Financial Update Meetings. She assists clients with a wide variety of internal and external financial operations, and maintains FinArc’s client relationship management system and portfolio management system. Liv earned a Bachelor of Arts from the University of Massachusetts Amherst and a Master of Business Administration from the F.W. Olin Graduate School of Business at Babson College. She has been the Financial Secretary and a member of the Chesed/Caring Committee at Temple Beth Shalom. She is an avid cyclist and has participated in the Pan-Mass Challenge benefiting the Dana Farber Cancer Institute and The Jimmy Fund. She is also involved in raising funds and awareness for the Alzheimer’s Association. Liv resides in Needham, Mass., with her husband and two children. Liv can be reached by email. 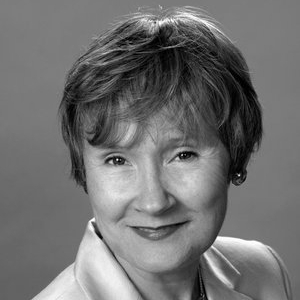 The Advisory Board of FinArc Investments includes leading business and financial services executives such as FinArc’s founder, Catherine Friend White. The board’s members are active in sharing their industry expertise and knowledge to benefit the firm and its clients. In particular, the board focuses on the firm’s business strategies and enhancing the client experience. Where appropriate, the board recommends areas of improvement and best practices. The board’s contributions are crucial to FinArc’s continuing ability to exceed client expectations. Catherine Friend White has been a member of FinArc Investments and its predecessor company’s advisory board since its inception in 2004. Catherine founded FinArc in 1990 and managed the firm and client portfolios until 2013. Catherine is currently an angel investor with Golden Seeds, an early-stage investment firm focused on women-led businesses. She is a mentor with Founder Institute and MassChallenge. Prior to FinArc, Catherine was a portfolio manager and analyst of the Growth and Income Portfolio at International Heritage. Catherine previously worked for Hellman, Jordan Management Company, and the Pioneer Group, Inc.
Catherine earned a Master of Business Administration with a concentration in finance from the F.W. Olin Graduate School of Business at Babson College, and a Bachelor of Arts in philosophy and French from Dickinson College. She received multiple certificates of achievement from CFA Institute for continuing professional accreditation. Catherine was previously a member of CFA Institute and the Boston Security Analysts Society. She is currently a member of The Boston Club. She is a director and former chair of the Stephen D. Cutler Center for Investments and Finance at Babson College. She previously served on the board of directors of BostonFed Bancorp, Inc. and its two subsidiary banks, Boston Federal Savings Bank and Broadway National Bank. Catherine resides in Medfield, Mass., with her husband. 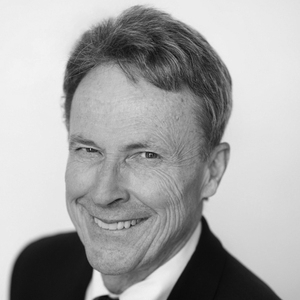 David Potter has been a member of FinArc Investments and its predecessor company’s advisory board since inception in 2004. David brings more than three decades of experience in business management, sales, marketing, and strategy. He has built, operated, and consulted for numerous companies in consumer products, healthcare innovation, and B2B software. David is a Consulting Partner with Outsell Inc., headquartered in Burlingame, Calif. He works with Outsell’s healthcare technology clients to identify and implement new strategic market opportunities. He is also a member of Peer to Peer Network Inc., a consulting resource for early-stage technology innovation companies. His core expertise is in developing and driving the implementation of go-to-market strategies that align cohesively with business objectives in a context that resonates with key decision makers across vertical functions. David has served in a variety of senior roles for divisions of Fortune 100 companies and early-stage healthcare technology and service companies. During his corporate career, David held leadership positions in marketing for divisions of Textron Inc., General Mills, and The Unum Corporation. 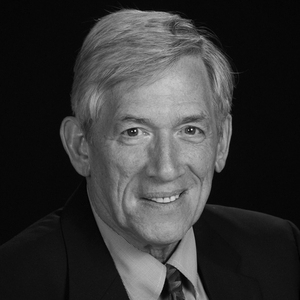 David was the co-founder of two technology companies – Pro-Change Behavior Systems, Inc. and Patient Engagement Systems, Inc. – which were each sold to private equity firms. David earned a Bachelor of Science from Bowdoin College and a Master of Business degree from the Tuck School of Business at Dartmouth College. David passed the Series 66 and Series 77 exams administered by the Financial Industry Regulatory Authority (FINRA). David resides in Warren, R.I. with his wife, Mary. Paul Teplitz has been a member of the advisory board of FinArc Investments and its predecessor company since the board’s inception in 2004. Paul has an accomplished career within the financial services industry and with consumer product forecasting. Paul is the founder and president of Research Boston, LLC and was a senior partner of Cambridge Research Institute, where he led the financial services practice. Research Boston has advised businesses on marketing, strategy, and forecasting since its inception in 1986. Clients have included Fortune 500 companies, money-center banks and top-tier law firms. Paul is the author of numerous articles and books on banking, professional sports, Federal tax policies and product forecasting. Paul earned both his Bachelor of Science and Master of Business Administration from the Massachusetts Institute of Technology. He also holds a doctoral degree in business administration from Harvard Business School. Paul resides in Lafayette, Calif., with his wife, with whom he has three adult children. Diane Wood joined FinArc Investments in 2016 in conjunction with the combining of FinArc and Prospera Partners. In 2017, she joined the company’s advisory board after stepping away from her role as an investment advisor. Diane has been involved in many aspects of the investment industry for more than 40 years, including security analysis, portfolio management and education. In addition to serving as chief financial officer of a major insurance company, she also founded two financial services firms: Allmerica Asset Management (now Opus Investment Management) and Prospera Partners, LLC. She was also a member of the adjunct faculty at the F.W. Olin Graduate School of Business at Babson College. Diane earned a Bachelor of Arts degree from the University of Colorado Boulder and her Master of Business Administration from the University of Chicago Graduate School of Business. She also earned the Chartered Financial Analyst designation. She has been actively involved in improving opportunities for women and has worked with a number of related nonprofit organizations, including the Board of Visitors and Investment Committee of the Women’s Union, the board of The Boston Club (where she currently is a member of the finance committee), and the board of Consumers Empowered, Inc., where she serves as treasurer. Diane resides in Boston, Mass.